Thanks for sharing the experience Katrina. I am in a similar situation where I try to inspire people to learn but not getting many participants. I guess I need to change the strategy and be creative. This makes me think :) Which is a good thing, of course.. Isn't this somehow related to the 'jack of all trades, master of none' problem? Without specific focus and direction, you won't reach your goals (in your case teaching your peers the basics of test automation). In my case it's something else, but the principle is the same. >> In late March we ran another test team retrospective activity. When I asked people what training they needed to do their roles, the overwhelming majority were still telling me "I want to learn more about automation"
I've been going to tester meetups for more than 10 years and I've heard testers say "I want to learn more about automation" at every single meetup, even at meetups where there's been presentations on test automation. It inspired me to write two blog posts: one is about taking control of your own career (which very few testers actually do), another was about pedestals and how testers put test automation on a pedestal. So sorry to disappoint you in advance but I guarantee your testers will still be saying "I want to learn more about automation" even after your new and improved workshop. I don't necessarily want the feedback to go away, I just want what "more" means to change. This is why I said in the post "I hope that giving a structured introduction to the basics will lay the foundation for future independent learning." Fingers crossed. Totally hits a note for me... kind of freakishly serendipitously, as I was thinking of doing the SAME thing to solve the SAME problem today! I hear the same thing all the time at meetups and from team members. For a long time I wondered why people don't just learn this stuff online in their own time.. about a month ago I came to the same conclusion as you, and now I'm working on specific training courses in specific tools and languages. I'm not surprised to see that Sean is doing this as well :-) All over New Zealand, testers will be learning more about automation in the coming months! What I had experienced in the past when training a QA team in automation is that sometimes one or two individuals feel threatened if they are not quite keeping up with other students, especially when it's colleagues and then they quickly become disheartened. What did help me is by creating a framework that implemented a Page Object Model pattern so that I could simplify the tests and get them rolling. Once they were comfortable I would explain the framework and demonstrate how messy the tests would be had I not done that. Even if they didn't quite understand inheritance etc, they still felt they were able to achieve something. Hope my experiences can help you with your upcoming course. Nice article! Actually I was in that situation of somebody saying "I want to learn automation". It's there almost in every job post and it's supposed to be one of the top software testing trends for 2016 and beyond. I've started listening to Joe Colantonio automation podcast and soon realized that to learn automation you should be understand coding. So I'm learning programming (Java) along with HTML and CSS. It's a process and won't happen that fast but I think it's a good way to go. I wish you good luck with training and coaching your team! I have been 'that' person saying 'I want to learn automation. I think, looking back, and looking forward, my personal challenge has been 'What does it mean to learn automation'. 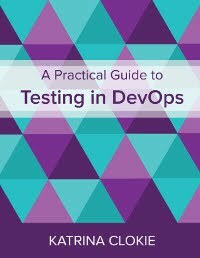 Now that I finally am in a role where I am learning on the job, I am finding that it is about understanding how to stand up the infrastructure to test (understanding a framework) and once stood up and starting to write test cases, what are the approaches for writing clear tests, methods, and validations. There is a difference between "Learning to Code" and "Learning to write Test Automation". In general, learning language semantics (especially the basics) is usually an order of magnitude easier than solving the problem and creating maintainable code. Is the barrier or the fear factor learning coding (or Java), or is it the environments you need to get to get things running for experimentation, understanding the design patterns or the code already written? There still seems a danger of solving the wrong problem. That said, I find something like Python is going to be a good bit more approachable than Java. I guess Java is probably your implementation language, but there are implementations of interpreted languages that run on the JVM and may be able to call into Java classes. If you want to make automation more approachable for those without CS backgrounds, is it worth considering if you have got the right tool for the job?